Product prices and availability are accurate as of 2019-04-17 14:04:58 EDT and are subject to change. Any price and availability information displayed on http://www.amazon.com/ at the time of purchase will apply to the purchase of this product. 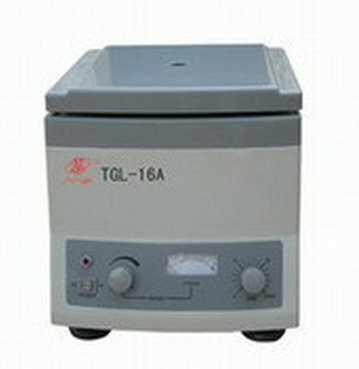 The frame of TGL series is made of high strength plastic, so its weight is low. The noise is low when it is running. The motor has a wide range of speed, and it also can run precisely. It can be operated simply and conveniently. It is safe and reliable because of being equipped with door switch. It can be used for qualitative analysis to serum, plasma, eviction in the fields of biology, chemistry, medicine and so on.